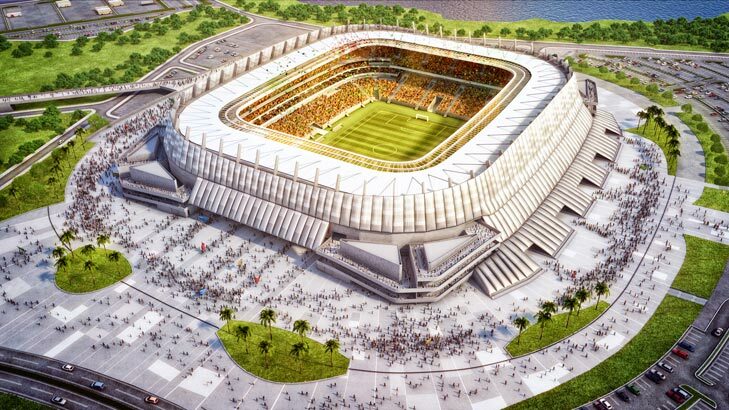 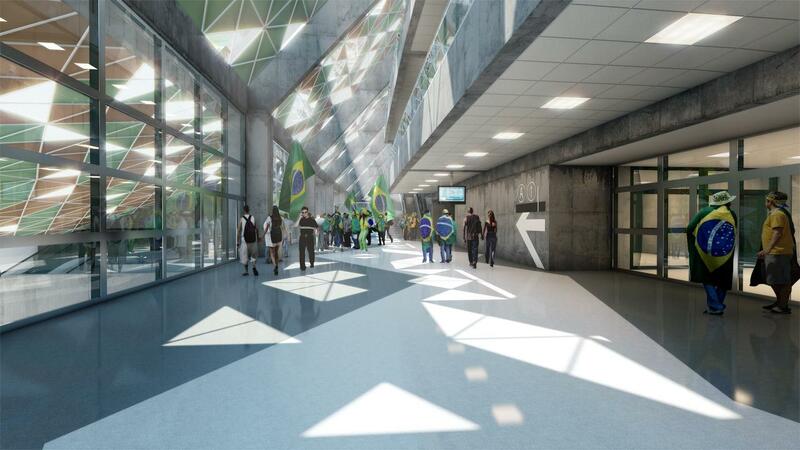 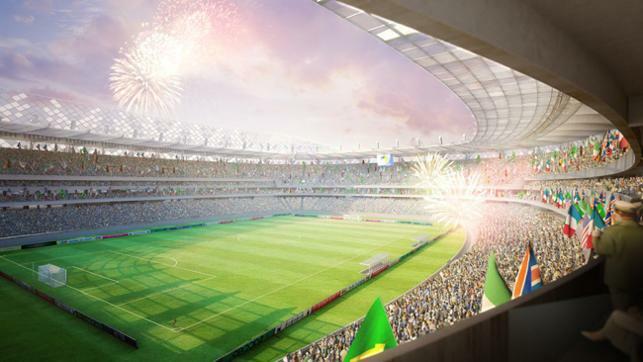 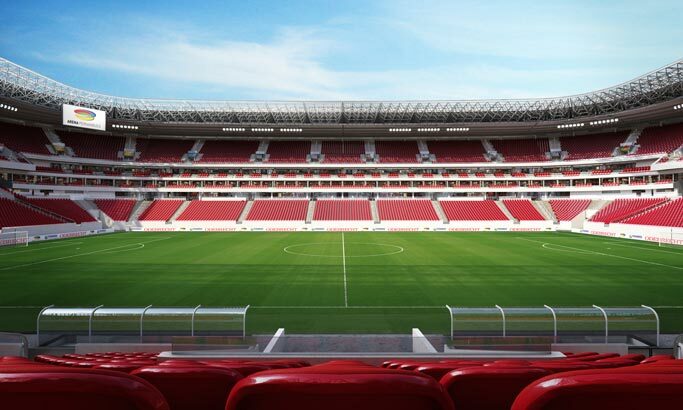 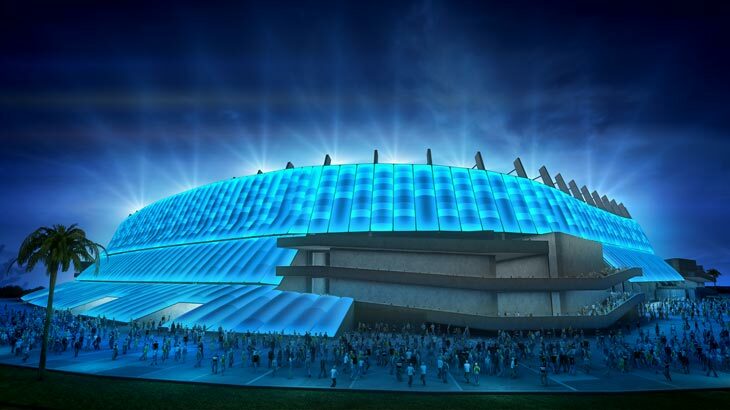 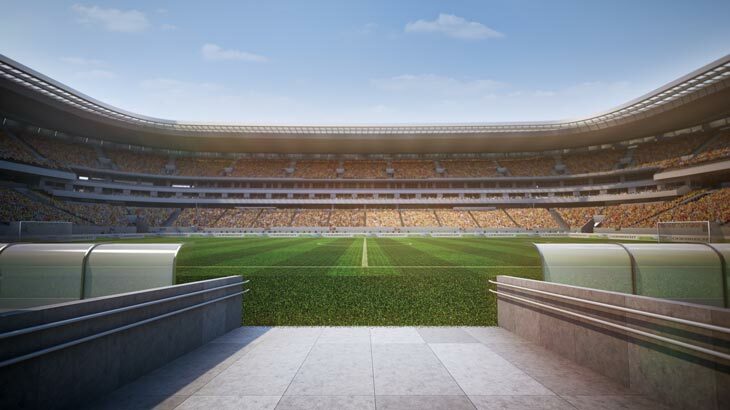 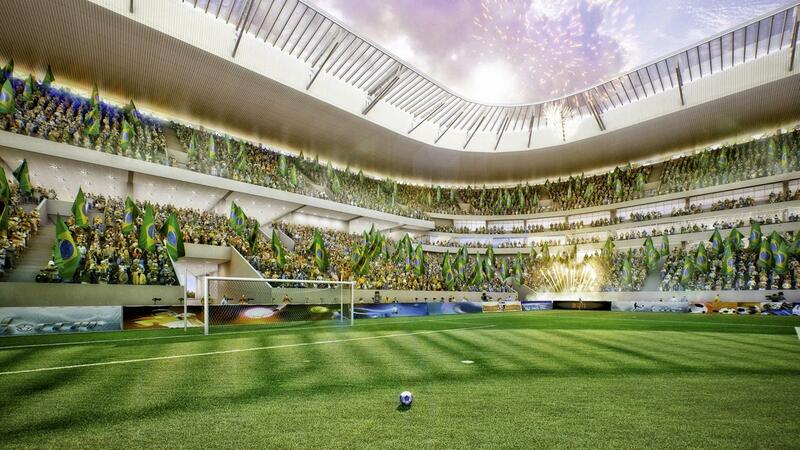 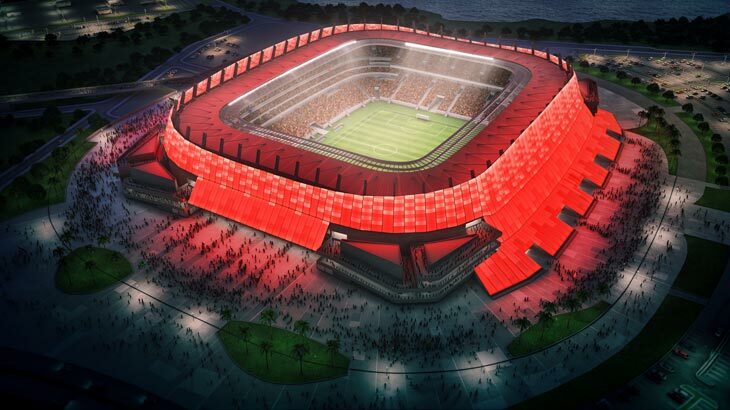 New stadium for Recife was planned outside the actual city, in a new complex nicknamed Cidade da Copa (Cup City). 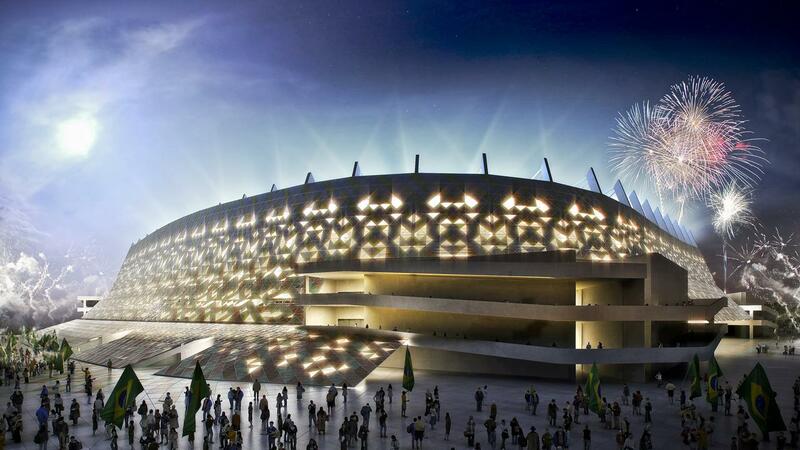 External cladding makes it one of the most interesting venues of the 2014 World Cup, though it was subject to changes over time. 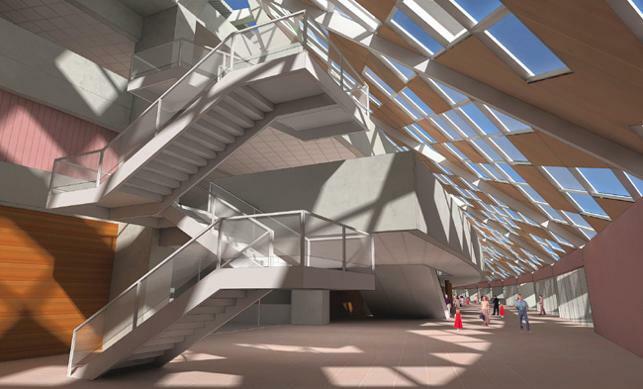 Initially, in 2010, the exterior was to have geometrical holes to allow sunlight and ventilation for the facilities inside. 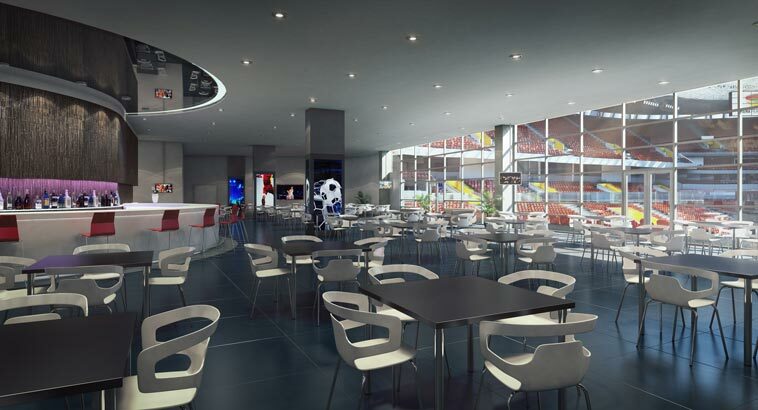 In the end cushions known from Allianz Arena were used. 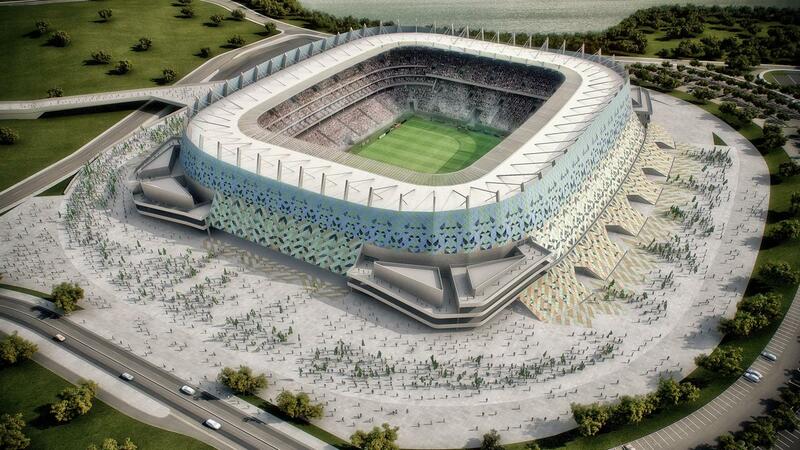 What makes this stadium stand out most are four large ramps forming its edges. 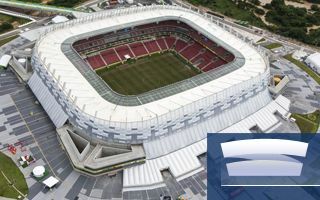 They don't only add dynamism, but also create an interesting contrast between the soft cushions and sharp concrete arising from underneath the cladding. 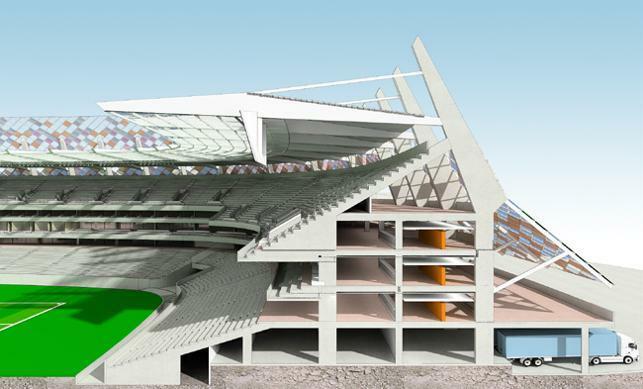 Stands are primarily divided into two tiers, though extensive corporate zones were planned along the pitch. 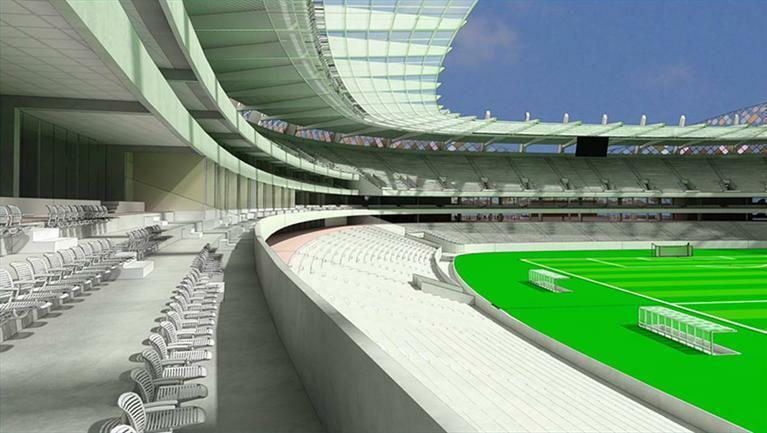 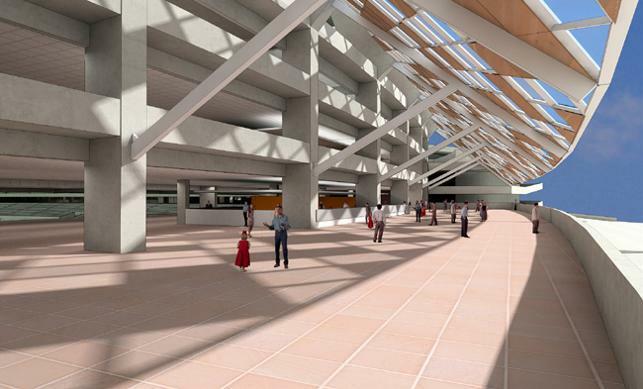 Though the roof doesn't cover all spectators, the robust audience layout allows to protect most from the elements. 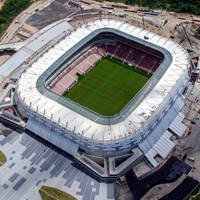 Construction was launched in August 2010 and was due to end in December 2012. 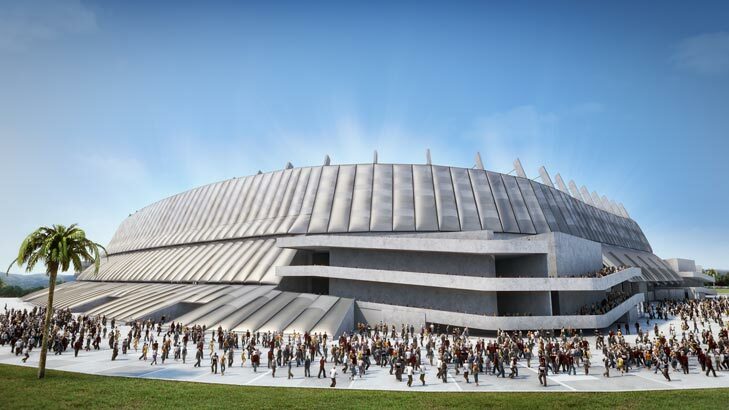 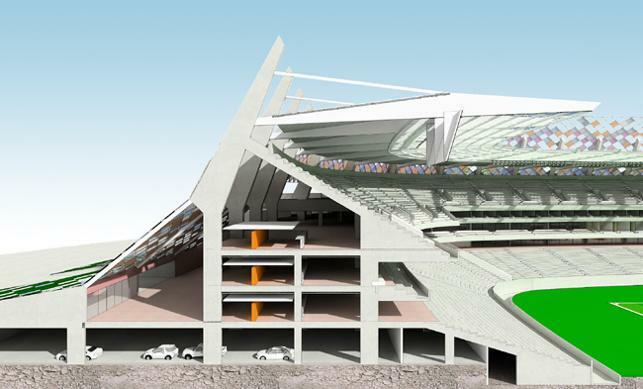 The deadline wasn't met and next one (March 2013) also passed without the stadium delivered. 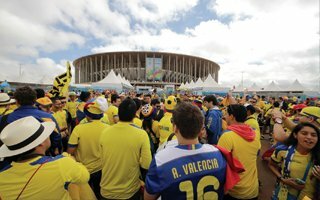 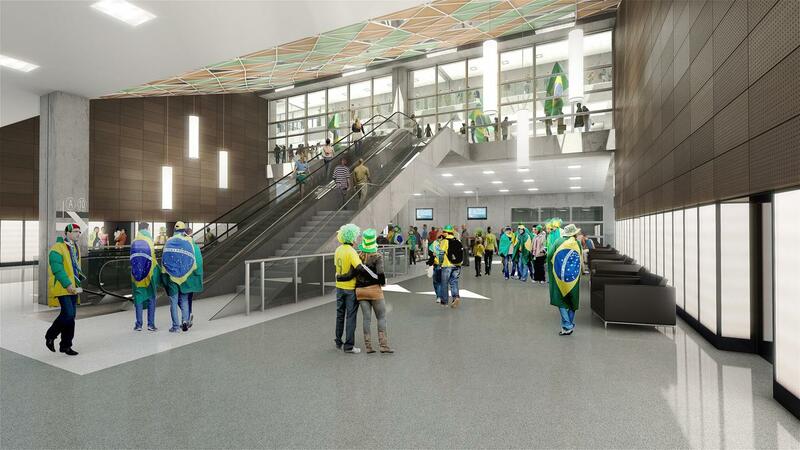 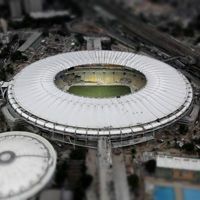 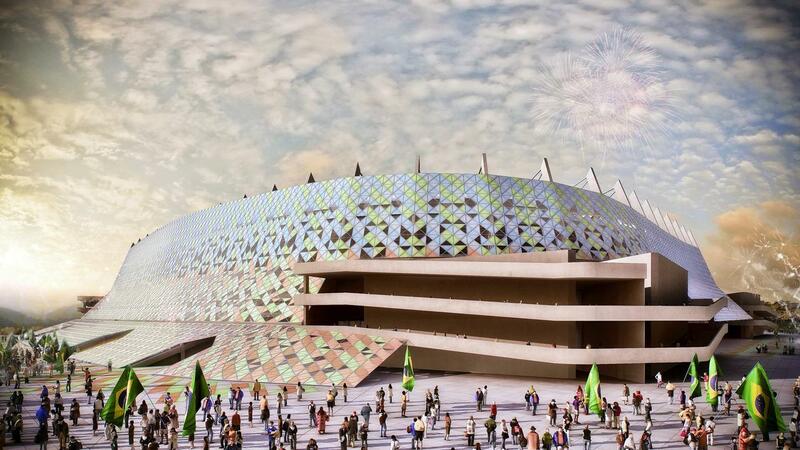 Eventually the inauguration was set for May 22, but construction works are to end only after the 2013 Confederations Cup..